The mundane musings of a wife, thriving in spite of breast cancer, and oh yes, motherhood. I know. I haven't written in ages. Reading and writing blog posts have been difficult the last few months and not for any reason other than I'm just busy. Amazing actually, to find myself sucked back into the everyday-ness of ordinary life after being so rudely pulled from it four years ago. So... what to do with my blog? Do I write a goodbye post? Do I let my blog flail in the wind? How can I be a fearless friend if I can't bear to read the words of others anymore? What if... When if... I need you again? While pondering my next step, I had a birthday. Today actually, right now, I'm 49 years old. I was diagnosed with Invasive Ductal Carcinoma 5 days before my 45th birthday, so I'm often quite reflective at birthday time. However, this one is different. I am fortunate to be living with NED, to my knowledge on this day, but the thing is, my mother was 49 years old when she was diagnosed with breast cancer. I don't know enough of her facts to say it was that cancer that eventually killed her or whether it was some other primary that surfaced, but let's say it was. I keep comparing myself to her. I was just turning 45, she was 49... I'm now 49. How did she feel at 49 to know she had breast cancer and the tortuous road of surgery and treatment ahead? She still had it all to face, at 49 and years later she died. I need to stop comparing myself to her. I am not her. My disease is not hers. A very wise friend of mine once told me, we can listen to each other, support each other, but we cannot take on their illness. It is not ours to take. We cannot listen to their symptoms and believe we are the same. We are not. I've been having great trouble remembering those words when reading the writings of bloggers still in the midst of their cancer life. It saddens me and I find I can't help them or myself. On this birthday, or any of these blessed days I want to live in the moment, enjoy my children, my husband and the adventures a healthy life brings. I don't want to live in a cancer world anymore and if cancer isn't forcing me to, then I need to leave it... While I can. So for now at least, I'm saying goodbye and thank you for being there for me. Your comments, support, encouragement and advice have been invaluable. I would not have made it through without you. I hope to return the favor one day, but right now, I need to go. 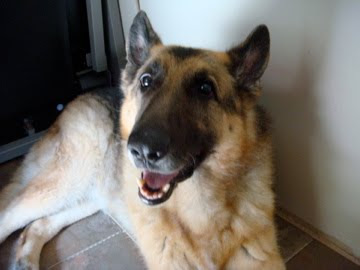 Please know I remember all the kind, gentle words you gave when my beautiful boy, Goliath, died. 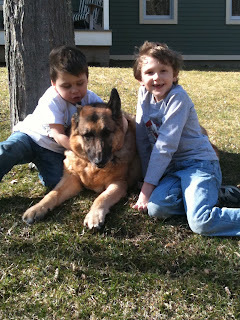 For even a death of a beloved pet was made bearable by the support and love given so freely by you all. Aside from the bibical references, the word goliath can describe things large in size, powerful, overwhelming and my favorite, a great achievement. Copyright Bringing Up Goliath 2010-2015 All rights reserved . Picture Window theme. Powered by Blogger.